An adult mountain lion looks down from a tree during a wildlife study in southwestern Colorado. A late November wildlife conflict in the Grand Lake area resulted in the death of a young mountain lion after the animal attacked and killed livestock on a ranch near Tonahutu Creek, according to District Wildlife Manager Jeromy Huntington. Local officials from Colorado Parks and Wildlife confirmed the attack Tuesday, but dated the incident back to Dec. 1, 2017. The young male mountain lion attacked and killed an alpaca on a ranch in the Grand Lake area while, at the same time, a llama within the same enclosure broke its leg trying to escape. The llama was later euthanized. After the lion made its kill, it initially left the area before returning to feed on the alpaca. When it returned, parks and wildlife staff were waiting at the scene to put down the lion. Local accounts initially placed the kill in Rocky Mountain National Park, though Huntington confirmed the lion was euthanized on private property roughly a quarter-mile from the park’s boundaries. According to state regulations, the state is liable for costs related to the death of livestock from predatory game animals, such as mountain lions. State regulations also allow landowners, livestock owners, their official agents, or officials from parks and wildlife to kill any predators, other than wolves, that attack and kill livestock. 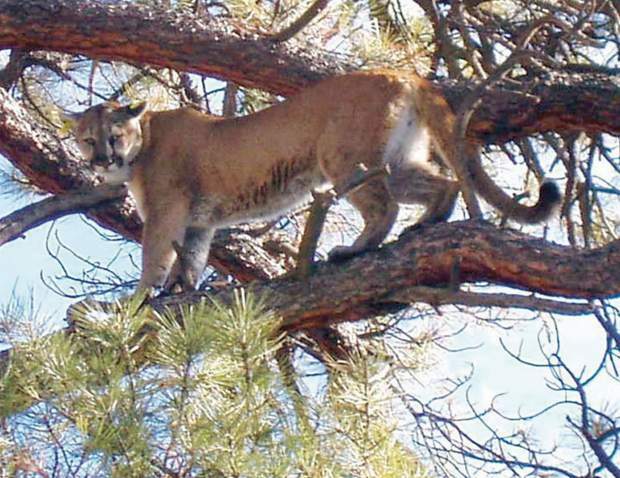 It is currently mountain lion hunting season in Grand County, which runs from Nov. 20 to March 31 in Colorado. Each year Colorado Parks and Wildlife issues roughly 12 hunting licenses for mountain lions in the Middle Park area.